I have fallen pretty hard for the hit ABC show Scandal, starring Kerry Washington, who is a lawyer and crisis management expert in D.C. that handles downright scandalous cases. However, what makes her highly sought after by her clients, including the White House, is her ability to handle them before they reach the level of a full blown public scandal. Every now and then I have my own “scandals” or what I like to call “slow moments.” It’s those moments that are rather embarrassing and can be private (only you and your higher power know) or public (everyone moving through rush-hour foot traffic in the train station stopped and saw you fall or venting about your boss to your co-worker has become venting about your boss to their face and your back). I’ve had my fair share of both. Yet, I’d like to say that I’d still consider myself a rather confident young woman, one who rarely shies away from or backs down from much of anything. My mishaps are really just tutorials, at least that’s what I tell myself and you may want to do the same. No one is exempt from messing up. And sometimes we mess up and everyone gets to see it. However, more than seeing how we screwed up, is the ability to bounce back. Bauces always bounces back. How? By staying calm, cool and collected. Calm: After we realize we have messed up it’s easy to go into freak out mode. Internally help yourself, externally, resist it. Remind yourself it was a mistake and not the end of the world. It could have been far worse. Sometimes it helps to take a few slow deep breaths, whether it was a private or public blunder. If it was public, as you take your slow deep breaths slowly scan the scene to see who else caught your mishap. Make eye contact and smile. Remind yourself that embarrassing moments are a fact of life. You just got schooled and are going to graciously accept the lesson. Cool: Keep breathing and if you feel your anxiety escalating, close your eyes and count to ten slowly. This will give you a minute to mentally escape, and internally manage the chaos. Open those pretty eyes, and keep making eye contact and smiling until you feel your anxiety starting to decrease. The eye contact and smile signals you are aware of the blunder and your intent to get back on track and continue. Bauces don’t give up that easily. There will be no running off stage, no calling out sick for a week and requesting a transfer of location, no leaving for work an hour earlier because you changed your route to the office to avoid people. Collected: You’ve closed your eyes, you’ve counted, you’ve smiled, and the humans you were in front of should have smiled back as they too have been where you are, some, more times than they would like to admit. Think about the last thing you said or did before the gaffe. That’s where you will resume. Do not simply pause and replay. Rewind to before the incident and when you push play, go straight for where you were headed in the first place. If you need a bridge to get back on track, then use appropriate humor. People will laugh, the mood will lighten, and you will continue. Or, restate the last intended statement, or repeat the last intended action, and continue as if the moment didn’t even occur. Or, if you feel it is necessary, then apologize. Sometimes depending on the situation an apology is respectfully in order. Give that respect and see how you get it right back. Remember, none of us are exempt from embarrassment. It happens to us all. And I mean all. Let’s be honest, some of the celeb Bauces we heart have experienced highly-publicized scandals or have gotten negative press. I bet if we got up close and personal they could share a few private “before I was a star” mishaps as well. When you have your little “scandal” or “slow moment” you will be tempted to stare awkwardly at your feet, turn red, allow your voice to drop to just above a whisper, discontinue eye contact, briskly walk waym, or want to give up. Instead, take a moment to remind yourself that you’ve got this because you are a calm, cool, and collected Bauce. Ooh! This post has spoken to me in so many ways. 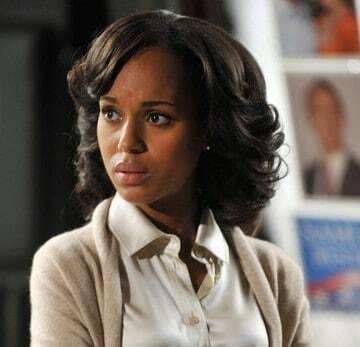 First of all Kerry Washington is my favorite Actress and Scandal is sooooo good! Okay now that I’ve gotten that off my chest. I’ve had my scandal moments as well. What’s even worse is replaying those moments and wishing “I should’ve said this” “I should’ve reacted like this” lol. But lately I’ve been super calm through my moments. Yes I freak out a little in my head but I’ve learned that a little prayer and a lot of faith can go a long way.